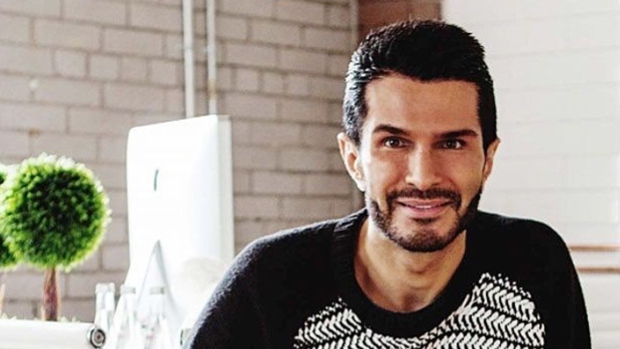 Deciem chief operating officer Stephen Kaplan confirmed the death of 40-year-old founder Brandon Truaxe in an email to The Canadian Press on Monday and released a statement on social media calling Truaxe a "friend." "You touched our hearts, inspired our minds and made us believe that anything is possible. Thank you for every laugh, every learning and every moment of your genius," the post said. "Whilst we can't imagine a world without you, we promise to take care of each other and will work hard to continue your vision. May you finally be at peace. Love, (forever) your Deciem." Kaplan and the company did not disclose Truaxe's cause of death, which the brand appeared to be marking by keeping stores closed on Monday. A sign hung in the window of at least one Toronto location saying, "Please don't get mad. We are currently closed for an unforeseen concern." It was Truaxe's vision that fashioned Deciem's popular The Ordinary line into the antithesis of most skincare brands -- products come in plain white packaging with scientific sounding names and price tags that were much cheaper than rivals. In a bid to protect its investment, Estee Lauder headed to court twice in October, landing court orders removing Truaxe as the company's chief executive officer, requiring him to stay away from Deciem properties and employees and reopening the stores. Estee Lauder said its actions were prompted by hundreds of "outrageous, disturbing, defamatory, and/or offensive posts on Deciem's social media accounts" and a profane email it claimed Truaxe sent to Estee Lauder's founder, saying he would soon be in his hometown and predicting the demise of Estee Lauder and the Lauder family. In the wake of the news of Truaxe's death, Estee Lauder companies said in a statement to The Canadian Press that Truaxe was a "true genius." Despite the turmoil, Deciem was long considered Truaxe's biggest success. The brand has lived on as one of Deciem's competitors, but Truaxe parted ways with Indeed within three years, telling the Telegraph in 2017 that there was "significant negativity" and "I didn't get along with my partners."